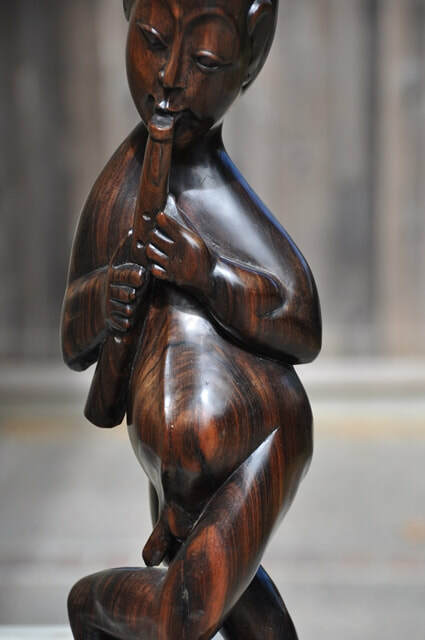 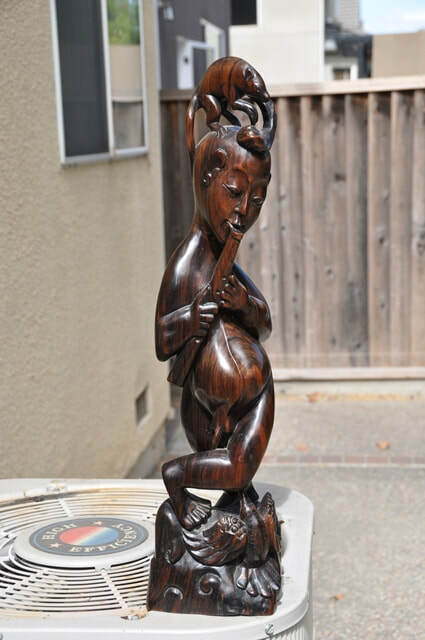 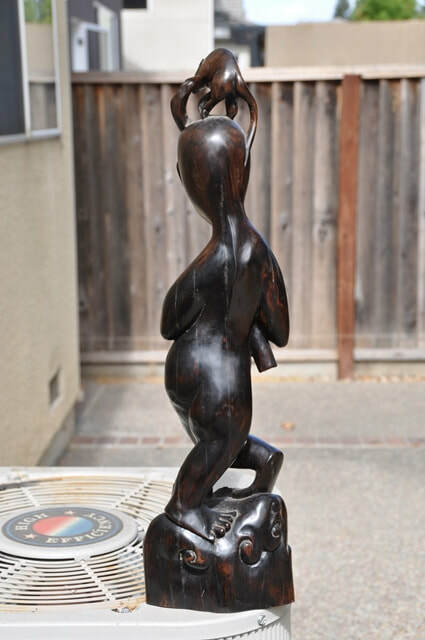 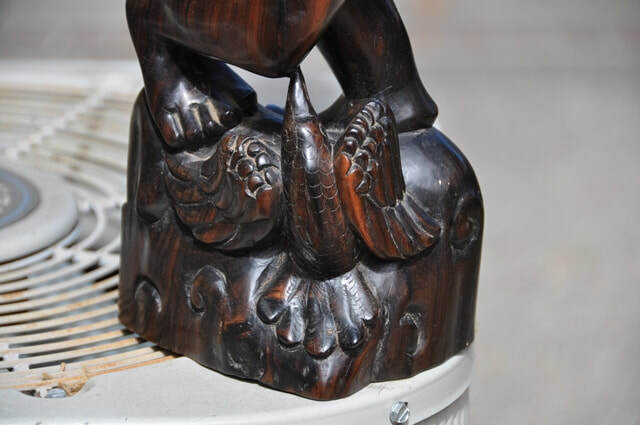 This is an unusual wooden sculpture from Southeast Asia. 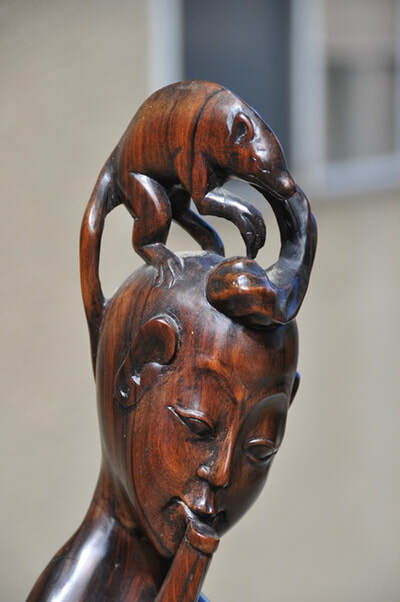 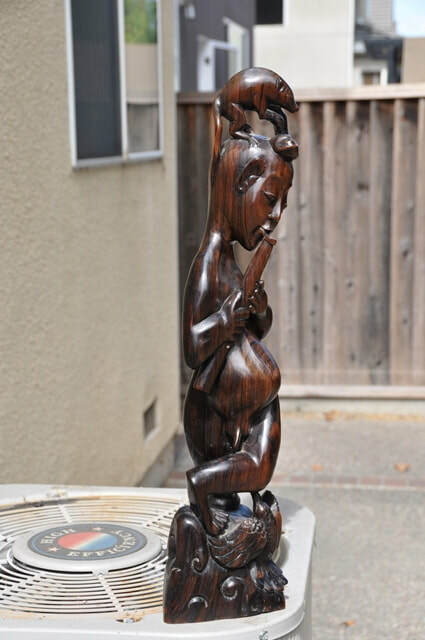 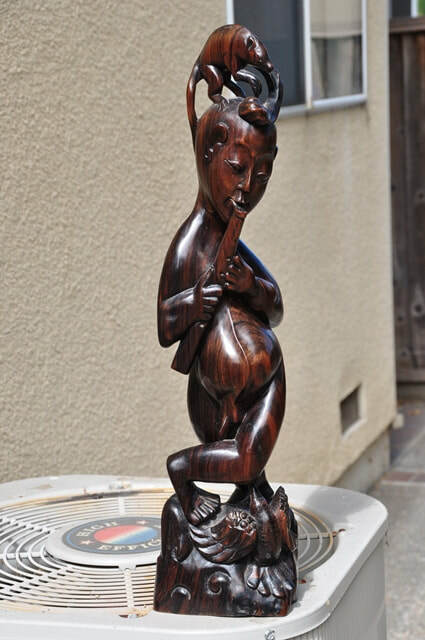 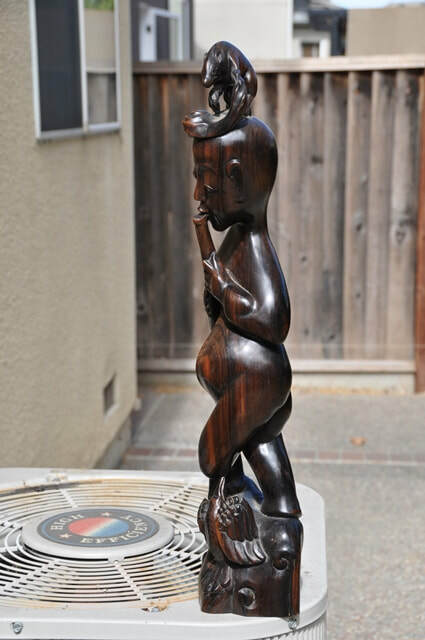 It depicts a person playing a flute while a rat is sitting on his head and a bird is sitting near his feet. The statue is 23.5" tall, 7" wide, 5" deep and weights about 6 lb.